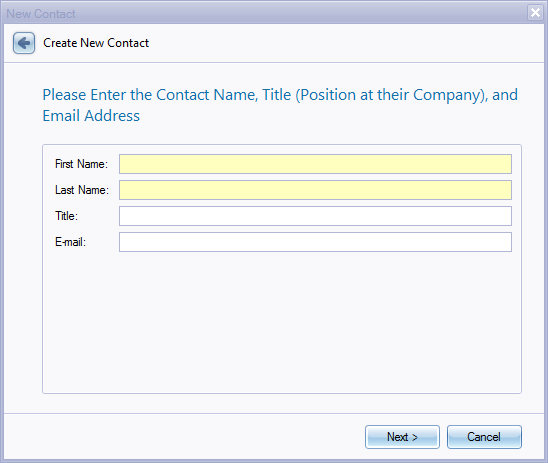 Manager users can view, edit and create new contacts in all accounts. 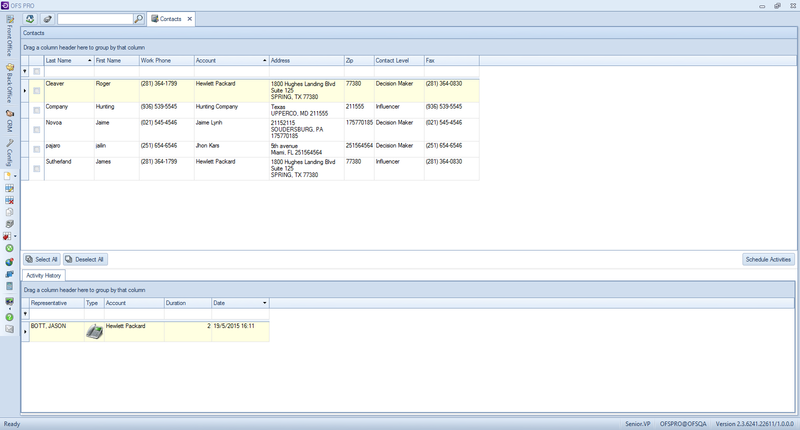 Delegate users can view and edit contacts assigned to them as delegates only. They can also create new contacts. 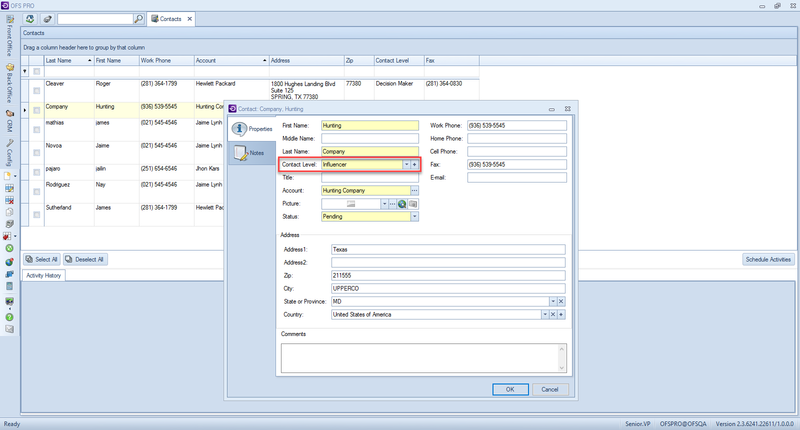 From this window you can Record activity, add an opportunity, or add another contact. 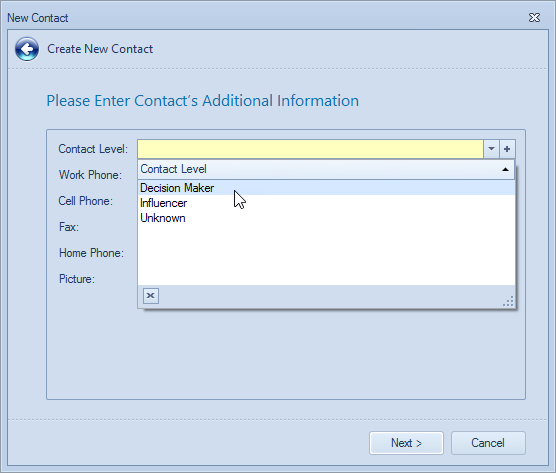 The contact is added to the list with the changes.